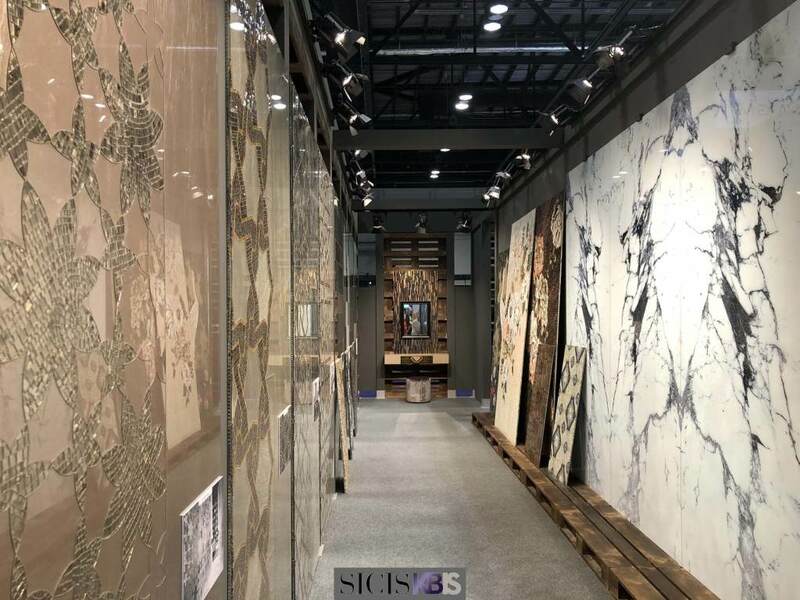 This year Sicis participated at KBIS, the main North America annual event dedicated to the kitchen and bathroom industry. 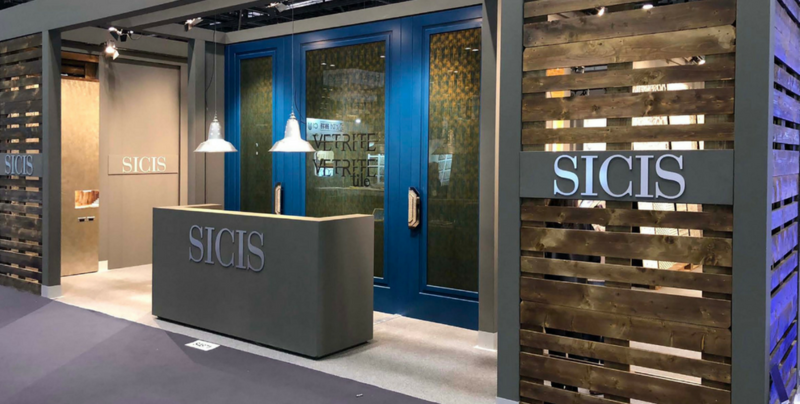 This year Sicis was awarded “Best Stand” prize, thanks to a showcase of innovative lighting materials that express a new and evolved conceiving surfaces. 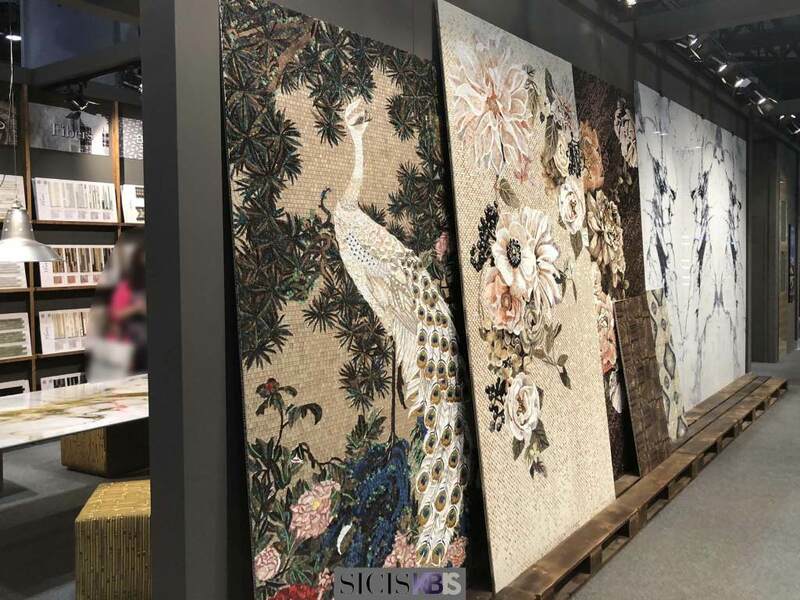 Moreover, we showcased special solutions for kitchens and bathrooms that include surprising mosaic collections and inimitable artistic mosaic panels. Special attention was given to Vetrite, the product the company recently created thanks to its research and development laboratories, made of external glass slabs and inner polymeric fabrics or films. 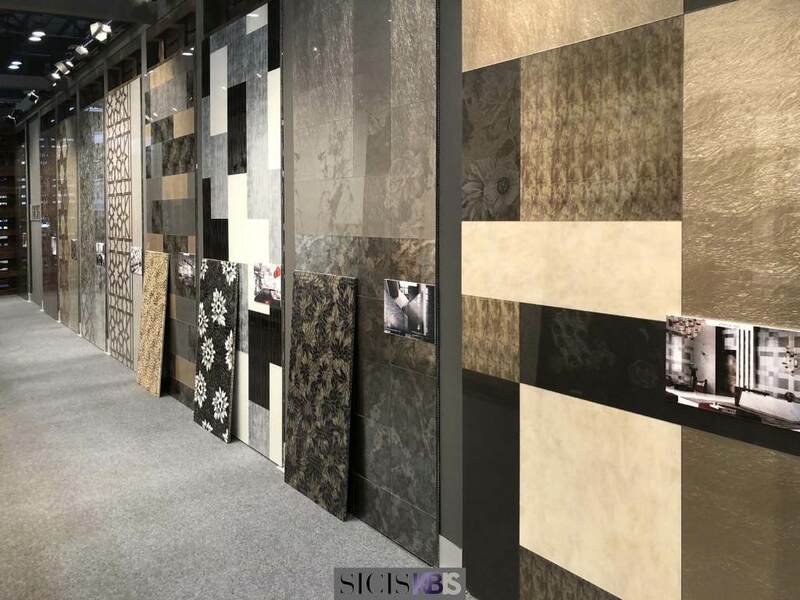 Vetrite shows original shapes and patterns, textures and persuasive colors and its use is suitable for both interior coverings and the realization of furniture, kitchens, tops, doors and bathrooms in their entirety. The company has therefore combined the necessity of practicality and robustness to aesthetic beauty in a single material. You can find Vetrite on a large 120x280cm format with a thickness from 6 mm up to 12 mm or in a new smaller format called we called Vetrite Tile, which allows you to give the surfaces a geometric look in a single color. You can choose between 25 available shades or tones combined with the numerous patterns, details of style that the designer can make exclusive and entirely customizable. The variety of formats makes it easy to place them in different types of environments, from bathrooms, to kitchen walls, architectural structures such as large hotels, showrooms and much more. 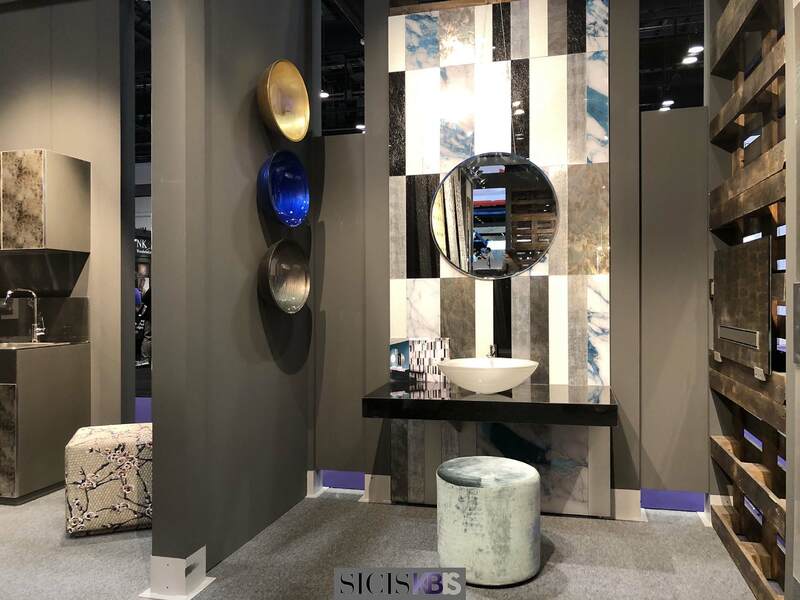 Another news was represented by the Vetrite “Electric Marble” line, where the natural texture of marble combines pigments similar to an electric fluid with a psychedelic effect that enters the veins of this material. From collection to collection, the message remains the same: choosing, inventing, developing incomparable materials, creating functional products of the highest level without neglecting refinement and elegance, giving ample space to the creativity of the designers.